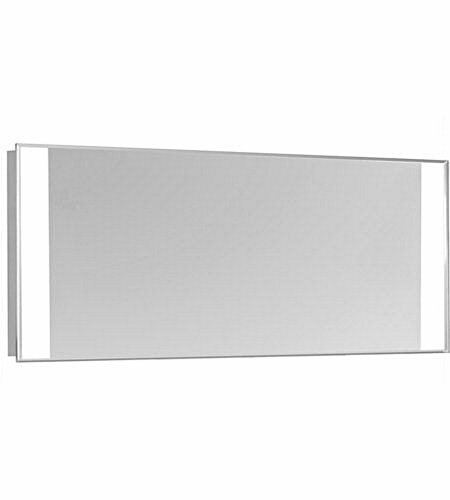 The Nova Collection virtually glows with an integrated LED ribbon bordering just inside the highly reflective mirror. Adding to the value of this mirror is a built in defrosting system and the versatility to display it either vertically or horizontally. 2 Sides LED Edge Electric Mirror Rectangle W20"H40" Dimmable 5000K . Dimable: TRUE / Color Temperature: 5000 / Lumens: 980 / CRI: =90 / Warranty: > 2 Years. Vision Metalizers DPB2600 26” Acrylic Bubble Dome Mirror Round Indoor Security Mirror For Driveway Safety Spots Outdoor Warehouse Side View Circular Wall Mirror, 26"